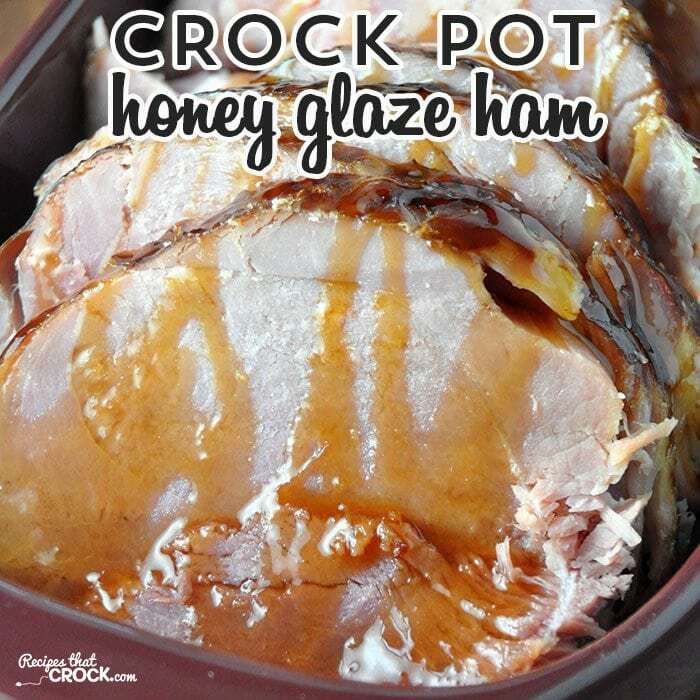 Crock Pot Honey Glaze Ham - Recipes That Crock! Do you love a mouth-watering ham and glaze? Then this Crock Pot Honey Glaze Ham that I adapted from Gooseberry Patch’s Slow-Cooker Christmas Favorites is just what you need! Michael has been at it again. He saw some hams…five hams to be exact…on Manager’s Special that had sell by dates of the day he was in the store. It was about a half hour before closing, so Michael made a deal with the manager. We got five hams for $25. Craziness. One of the hams almost cost $25 all by itself originally! Praise God! The first thing I did was call momma and tell her not to buy a ham for Easter. The next thing I did was start looking for some recipes to try out on all these hams! This recipe is crazy simple, but ah-mazing folks! Like everyone will love it and beg for more ah-mazing! I made a little bit of an addition to this recipe because I wanted to take the yummy juices and make a glaze. So I used the trick Aunt T taught me with corn starch. However, there is quite a bit of liquid to make into a yummy glaze, so I used 3 tablespoons of corn starch with 3 tablespoons of water. It takes a while longer than when I usually thicken things up, but it is definitely worth the time! Oh. My. Yum. 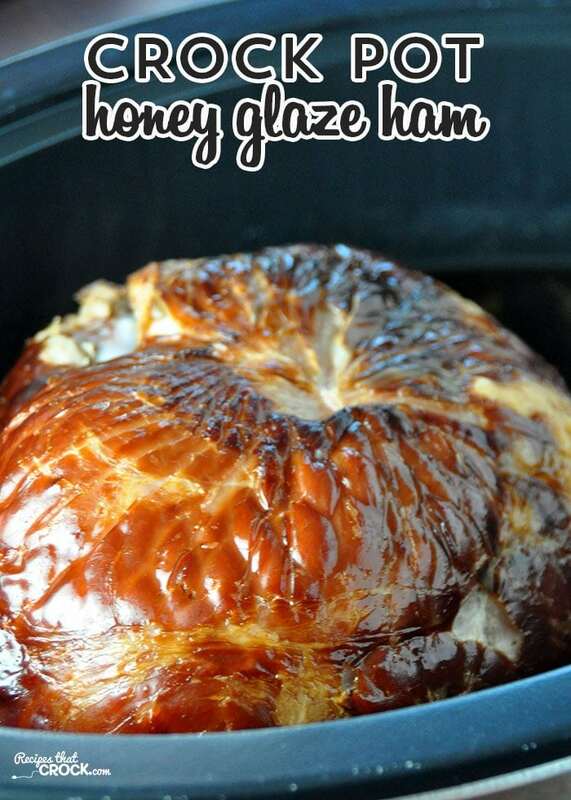 This Crock Pot Honey Glaze Ham is perfect for your next holiday or to make dinner special any day of the week! For this fantastic Crock Pot Honey Glaze Ham, I used Cera (my 6 Quart Crock Pot with Ceramic Coated Pot). It is so easy to clean up that I don’t ever have to use a liner and cooks evenly. If you don’t have a Cera of your own, then I would use at least 5-6 quart slow cooker and might consider using a crock pot liner to make clean up a snap! Hi Aunt Lou–I assume the ham you used was a raw one, not a fully-cooked one? Also, I’m not really familiar with the various types of ham since I usually buy ham that’s already sliced and fully-cooked. Does it have to be a semi-boneless or can it be boneless? It is is fully-cooked ham. I would use a semi-boneless ham. The one I bought was not already sliced though. I hope you enjoy this as much as we do!